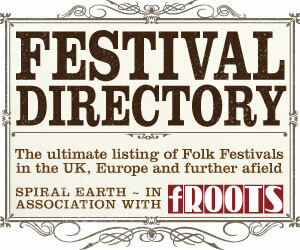 The Spiral Earth, in association with fROOTS magazine, festival directory to folk, roots, blues and world music festivals in the UK and Europe. 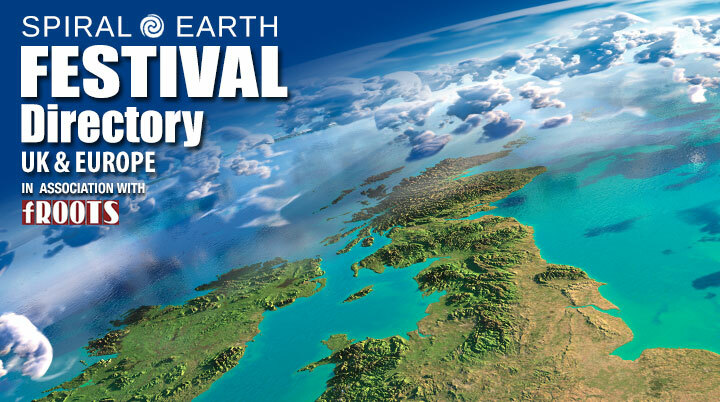 This is your greatest resource for UK Folk Music Festivals and European Music Festivals in 2019. Our directory gives listings for folk, blues and world music so you can find festival lineups and 2019 festival ticket information. We have divided the festival directory into regional festival listings within England, Scotland, Ireland and Wales, and then by country for music festivals in the rest of Europe.